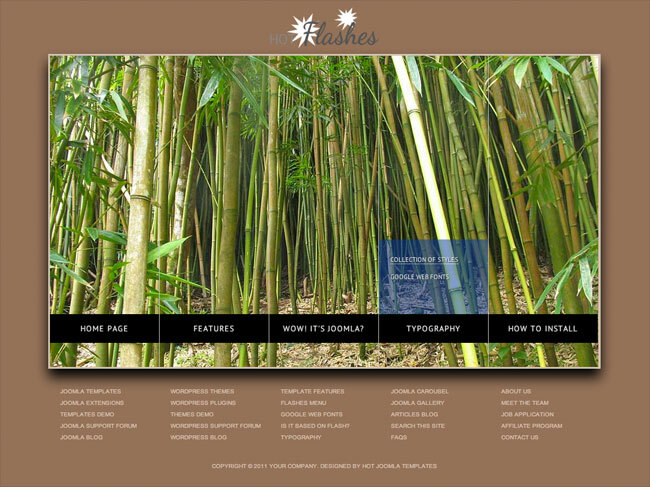 The idea was to combine the Joomla menu with images slideshow in order to make a flash-like website. 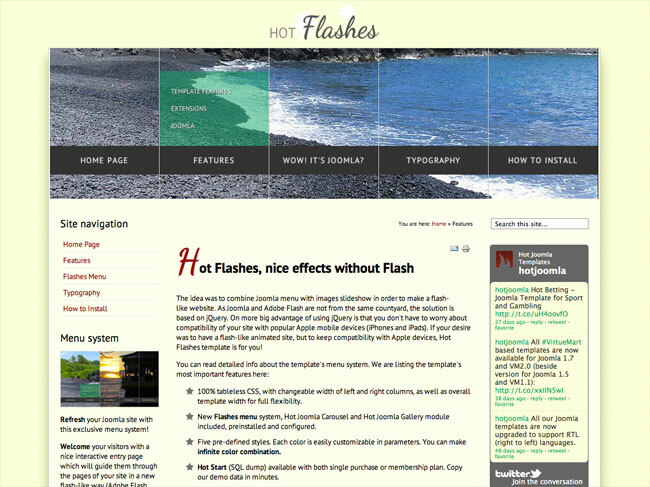 As Joomla and Adobe Flash are not from the same courtyard, the solution is based on jQuery. One more big advantage of using jQuery is that you don't have to worry about compatibility of your site with popular Apple mobile devices (iPhones and iPads). 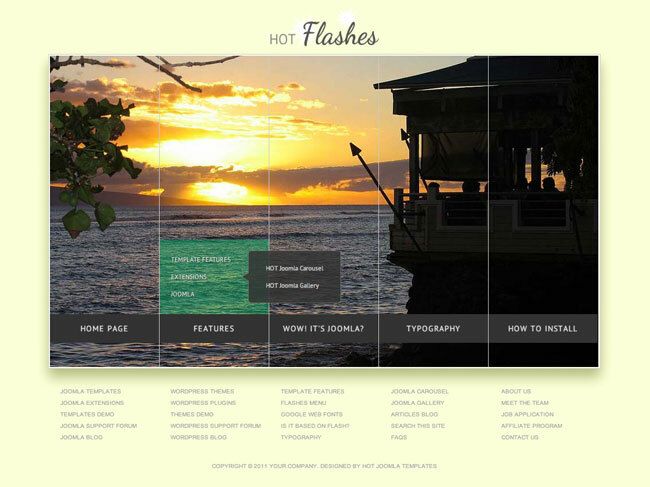 If your desire was to have a flash-like animated site, but to keep compatibility with Apple devices, Hot Flashes template is for you! 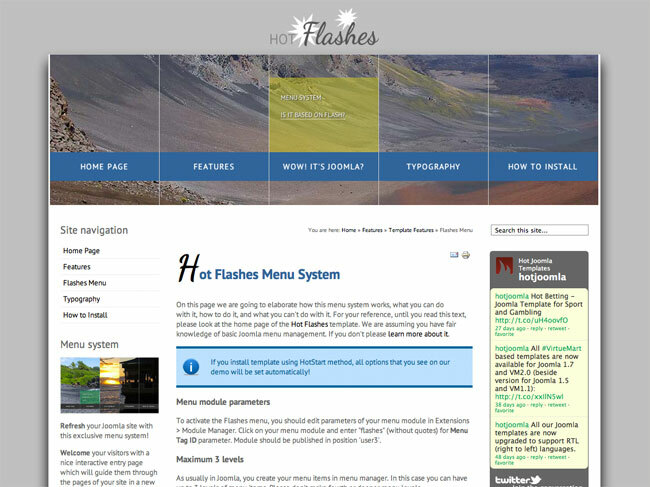 You can read detailed info about the Flashes menu system here. 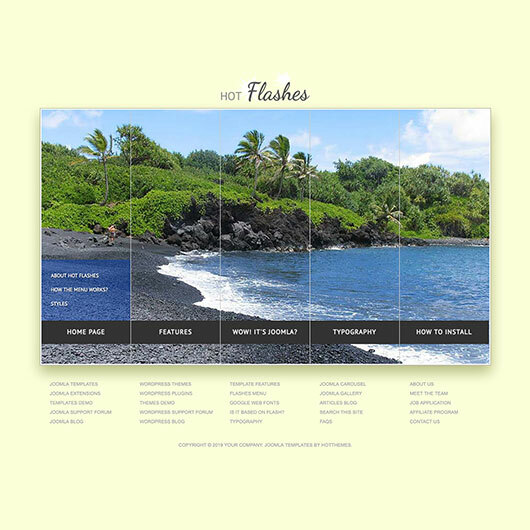 100% tableless CSS, with changeable width of left and right columns, as well as overall template width for full flexibility. 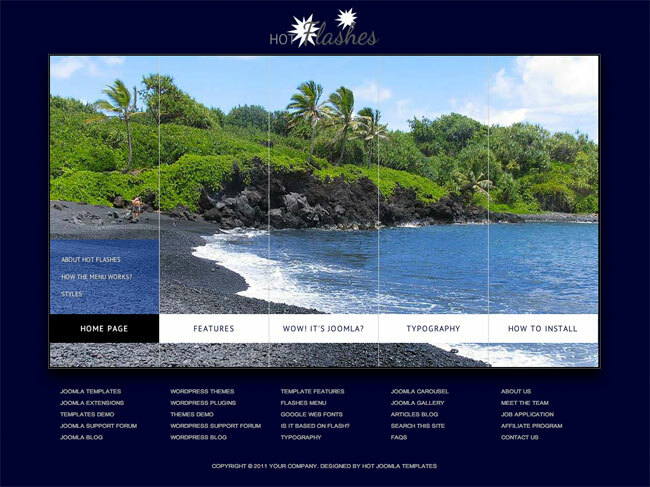 New Flashes menu system, Hot Joomla Carousel and Hot Joomla Gallery modules included, preinstalled and configured. Five pre-defined color styles. 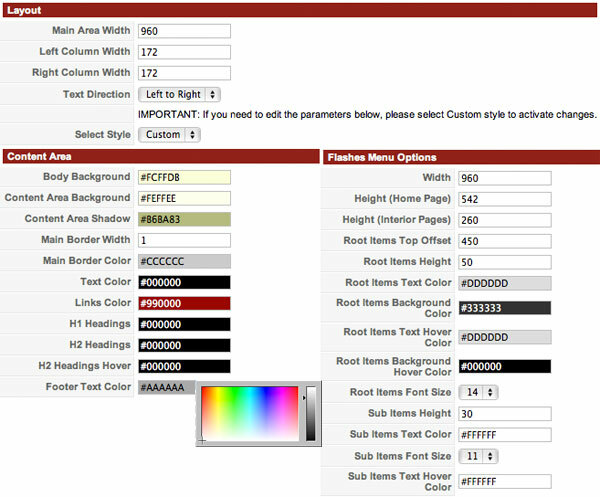 Each color is easily customizable in parameters. You can make infinite color combination. Hot Start (SQL dump) available with both single purchase or membership plan. Copy our demo data in minutes. Compatible with IE7+, Firefox, Chrome, Safari, Opera. Tested on iPad.